Experience Blues, bar-b-que, and more on this tour of Memphis! From Music City to the Mississippi, Gray Line of Tennessee shows you the best there is to see. Come experience the legendary character of Memphis, TN and see why this city is mentioned in more song lyrics than any other place on Earth. Located on the Mighty Mississippi River, Memphis is the birthplace of Rock 'n' Roll, the capitol of Blues and home to some of the best bar-b-que you can put in your mouth. Ride with Gray Line for a full day adventure as we walk in the footsteps of legends. Celebrate 60 years of Rock 'n' Roll with a visit to Elvis Presley's home, Graceland. We'll see the burial site of the King of Rock 'n' Roll, walk through the Elvis car museum, and see two deluxe airplanes that he used for tours and traveling. We will also take time for lunch on your own at Graceland, allowing you to get even more out of your time at this world-renowned place. Next, we're off to learn what accident set Rock 'n' Roll in motion at Sam Phillips' famed Sun Studios in the heart of Downtown Memphis. Take a guided tour to see what the recording process used to be like. Hear the stories of how many legends got their start here, such as Johnny Cash, Roy Orbison, Jerry Lee Lewis, and the King himself, Elvis Presley. A trip to Memphis wouldn't be complete without a duck walk. See the famous Peabody ducks make their way down the red carpet from their fountain to the elevator as they head to bed at the lavish Peabody Hotel. Hear the story about why this started and how it continues today. 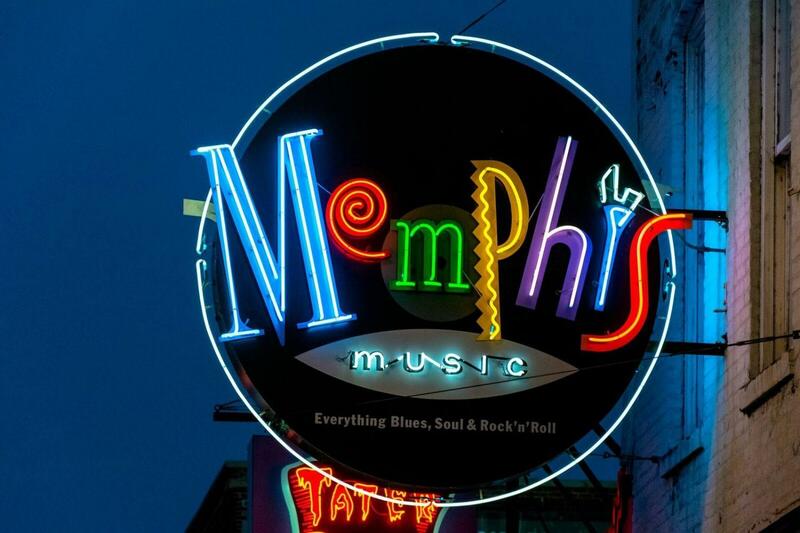 Then take time on your own to explore Beale Street, where you could dive in to some Blues and bar-b-que, or take a short stroll to the Memphis Rock 'n' Soul Museum. There's plenty to do in this lively downtown scene. We will finish the day with a drive by the Mississippi River, so you can tell your friends and family that Gray Line of Tennessee showed you best Memphis has to offer. There was some hold up with a shuttle connecting passengers to the main tour bus, and despite being told to be there for 6.30am, we didn’t leave until nearly 8. This lost us an hour at Graceland, and you really need 4 hours, not 3. If you have to miss something, Miss the ‘Idols’ rather than anything else.The Grayline VIP ticket saved time, so that was easier. Sun studios, whilst a small and short tour was tremendous - recommend! I could have finished the tour then, Beale Street was ok, but noisy and edgy. A snack at the Peabody or watching the duck walk (mobbed) is an alternative, or perhaps avoid altogether and walk to the banks of the Mississippi which isn’t far. An serious accident on the way home increased the journey by an hour, can’t be helped, but it was a long day. Driver Regina had an Elvis DVD on the way which was great, but the single CD on repeat for 4 hours on the way home was not! The bus CD player can’t be operated by the driver, so not her fault. We had travelled a long way to see Graceland, and this was definitely worth it, despite the wrinkles in the day. Enjoyed graceland. Would like to have about 30 min longer on Beale street. Would have been better to not have waited for tour at sun records or shorter tour there.? Our guide, Tonya was excellent and we thoroughly enjoyed our trip to Memphis. The pickup from your office near Opryland wasn't the greatest as we were last to board the bus and the drop off we were last again. Our driver for drop off, Jimmie, drove like mad down the highway so not impressed by that. Tonya was very informative and seemed to know more about Graceland than some of the workers there! Lots to see, great tour guide/driver!